Read all about it on www.guardian.co.uk. 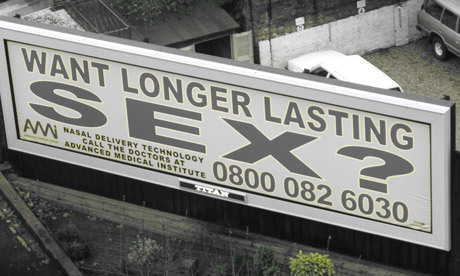 Top tip Media placement is key. This ad might be fine in Viz, but not on the High Street. Sanpro ads are OK in Woman magazine, but not on CeeBeebies. And, if you provide training for ex-service personnel, like my newest client, advertising in the army resettlement magazine makes perfect sense. As they say in marketing and in the military, it’s all about targeting.